If your home or business requires water damage restoration due to a wet basementor flood, damaged plumbing or appliances, or excess water as a result of fire suppression, quick response time is the key to successful water damage restoration. The effects of basement flood damage or other water damage can go quickly from bad to irreparable if not addressed immediately. Excess water in your home or business can cause electrical hazards, expensive damage to your property structure and furnishings, and lead to the growth of hazardous mold. Water damage is a significant danger to both homes and businesses. Beginning water mitigation and extraction procedures as soon as possible prevents water damage from spreading, lowers costs and means less stress for you. 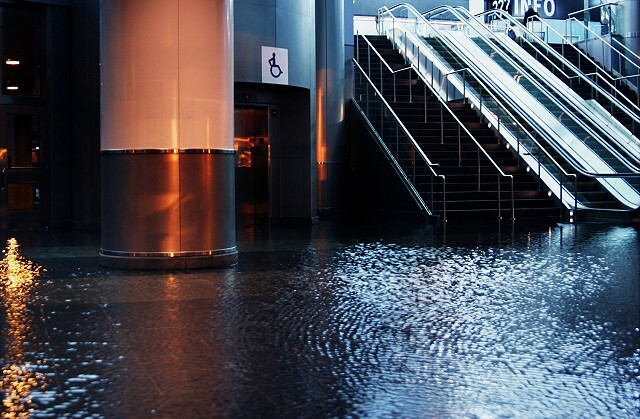 Waiting to begin water and flood restoration services can cause secondary damage to your property, carpets and other furnishings in your home or business, and can also lead to the spread of hazardous mold contamination. Waiting can also contribute to extreme water damage to hardwood floors and require costly replacement, and contribute to unpleasant odours from absorbed water that can be difficult to get rid of. That's why ServiceMaster Of Cornwall is on call 24 hours a day, 7 days a week, 365 days a year, to provide you with a reliable lifeline when water damage restoration is needed. Asone ofthe industry’s leading restoration companies, you can count on us to provide professional water damage and flood restoration using the most advanced technologies and products available. WE IDENTIFY THE SOURCE OF THE PROBLEM AND THE EXTENT OF THE WATER DAMAGE. A thorough examination by our certified technicians, using specialized equipment such as moisture-detection meters, probes and sensors help to determine the extent of the water damage. This enables us to form the most effective water remediation and restoration plan for restoring your property back to normal as quickly as possible, and your peace of mind. At ServiceMaster Of Cornwall, we use advanced technology and professional-grade products and equipment for all of our water damage restoration services. Our procedures extract excess moisture efficiently and promote efficient drying. Drying times can vary depending on the location, duration and source of water damage, as well as on the building materials and weather. If your home or business has been damaged by water, or you require water extraction or water damage restoration due to other issues, contact professional water damage restoration services. Trust ServiceMaster Of Cornwall, the leader in disaster restoration. FROM DISASTER TO DONE. WE RESTORE YOUR PROPERTY, AND YOUR PEACE OF MIND. With 65 years of professional experience, ServiceMaster Of Cornwall is an industry leader in water damage restoration. Our team of certified water damage restoration professionals has the expertise and know-how to navigate from crisis to resolution. With you every step of the way, our team works together in a clear, decisive and results-oriented manner from assessment and mitigation of the water damage, through to restoration of your home or business property, until all issues are resolved to your satisfaction. We are ready to respond to your water damage repair needs, day or night. Call ServiceMaster Of Cornwall today! WHAT TO DO IF YOU EXPERIENCE WATER DAMAGE FROM A BASEMENT FLOOD OR OTHER SOURCE. Call for professional help. Structural damage from water and bacteria growth can begin within hours. Remove wet area rugs or other floor coverings not permanently attached. Do not attempt to start removing your wall-to-wall carpet. This should only be done by professional restoration specialists. Hot water tanks, washing machine hoses, dishwashers, refrigerators and ice makers. Clean your gutters every autumn to prevent backup and leaks. Prevent frozen pipes and potential flooding by keeping your home or business heated while you’re away for an extended period of time. Close interior valves for exterior faucets during the winter months. Leave cabinet doors open during extremely cold weather to allow warm air in to help prevent pipes from freezing. There are some aspects of the restoration process that may require the services of general contractors such as drywall/painting; electrical; plumbing; roofing; framing/finish carpentry; flooring/carpet; installation of doors, windows, cabinets, post-construction cleanup, etc. ServiceMaster Restore provides full reconstruction services. Opening the windows in your home to assist the drying process is not always recommended. Outside weather conditions may vary. Your ServiceMaster Restore technician will determine when and if opening windows to let in outside air is advisable.